I’ve been in a habit of pulling ingredients out of the pantry and throwing together Mexican flavored soups. I start with chicken and broth, then add Mexican spices and whatever spicy ingredients that I have on hand. 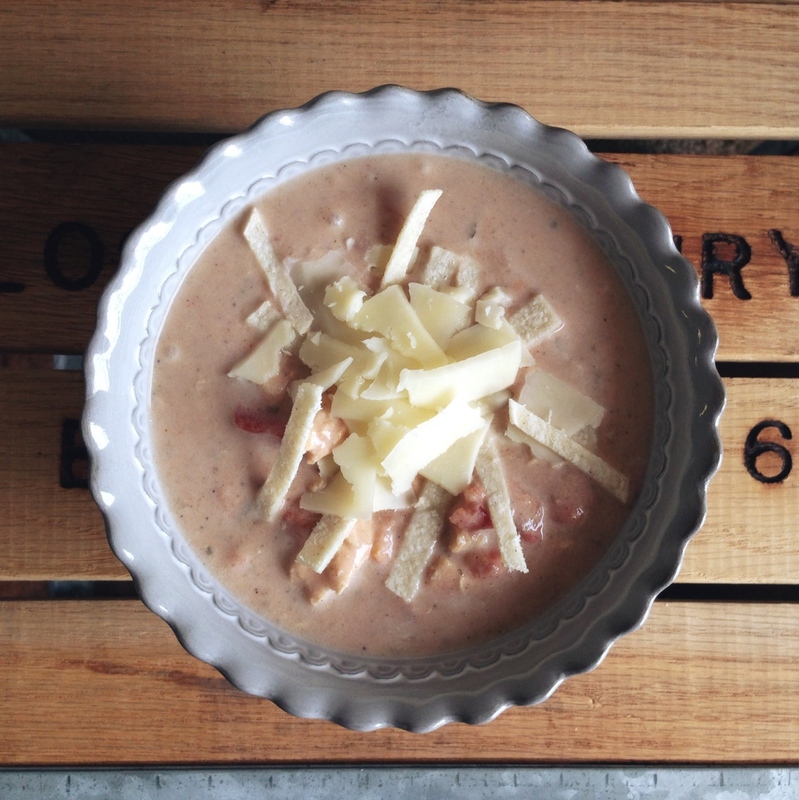 Several weeks ago I pulled together the ingredients for this Creamy Chicken Enchilada Soup and tossed them into the crockpot. It turned out so deliciously. I love it when a throw-together meal turns into a new favorite! I love spicy soups (especially in the winter! ), if you’re a fan of milder things try halving the amount of salsa and rotel in this recipe. 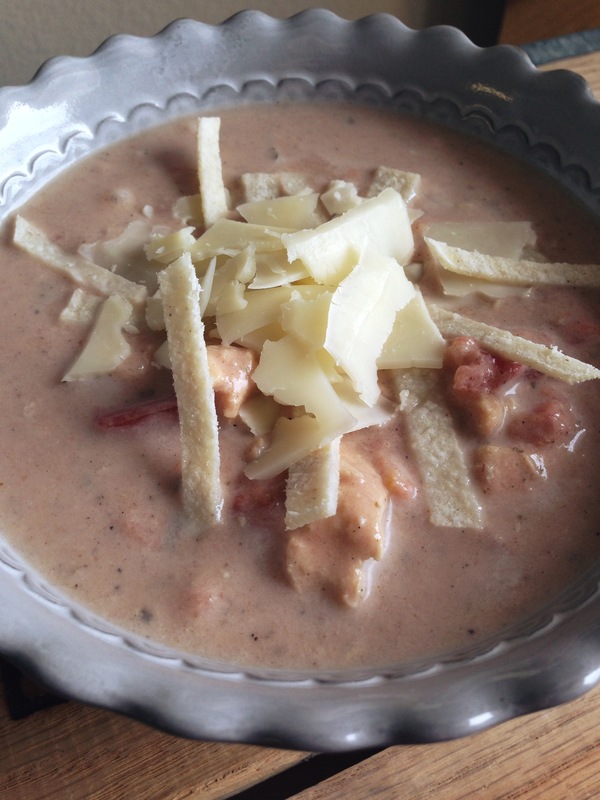 And if you’re looking for more Mexican soup recipes, check out my Chicken Avocado Lime Soup. I served this soup along with Mexican Street Corn, yum! You could also serve this soup with salad or quesadillas. 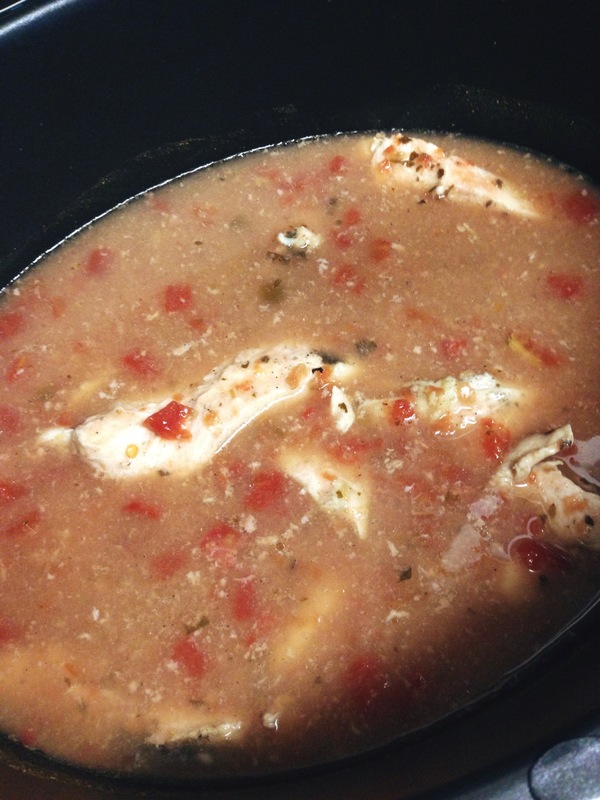 Place chicken, chicken stock, salsa, and rotel into a crock pot. Turn on low and cook for 5-6 hours. Take a fork and shred cooked chicken. Use a whisk to mix in corn starch and cream. 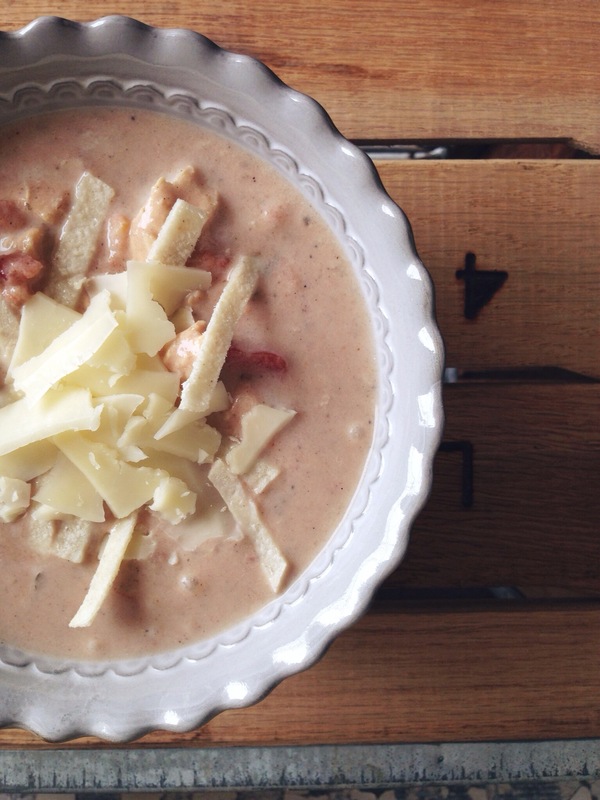 Turn slow cooker to high, just until soup thickens. Taste and add salt and pepper if you’d like. 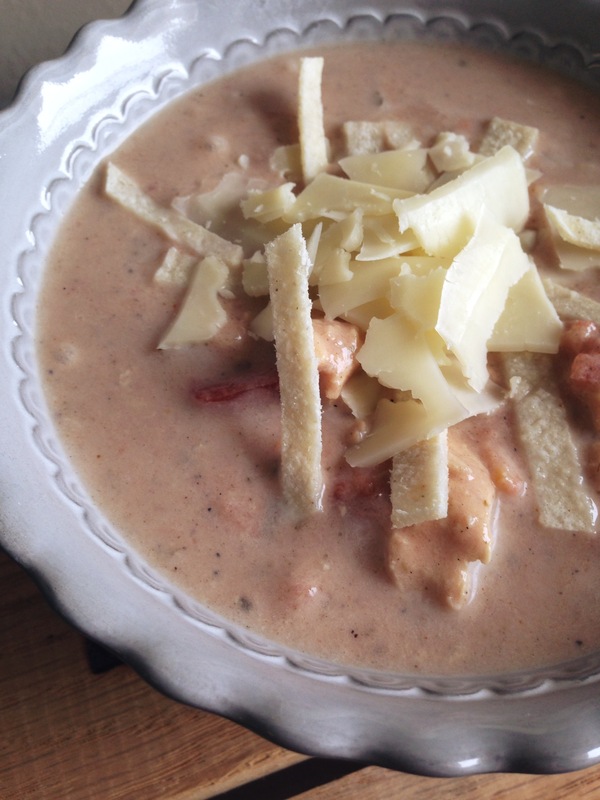 Ladle the soup into bowls and top with tortilla strips and cheese. hello! You have a nice blog. This soup looks delicious.! What’s rotel? Thank you so much! Rotel is a combination of fresh diced tomatoes and green chiles that have been canned. It’s kind of like a chunky salsa (without the tomato-sauciness). Hi Shae! Quick note to say I love your blog and recipes, we’ve made probably a dozen and a few are in our regular rotation. I hope you’ll keep posting, but even if you don’t please know my husband and I love your food! Thank you for taking the time to write this encouraging note! I’ve taken quite the break, but I do have plans to start putting together new posts soon!